Do you like to eat vegetables? Not all people in this world prefer to be vegetarians. They might prefer the delicious non-vegetarian foods like meat, fish, etc., over the vegetables. The fact is, even though some of the seafood and other non-vegetarian dishes are nutritious, they will never be able to compete with the nutritional value of the vegetables. There are different types of vegetables, such as leafy vegetables, cereals, pulses, etc. One of the most important factors to have a healthy life is a well-balanced diet. The type of food we consume decides the quality of our life. The vegetables contain all the necessary proteins, vitamins, fiber, and other minerals which have a very important role in our lives. There are many people who do not realize the vital role of vegetables in their life. Hence, it is important to keep in mind the below-mentioned points which help us to understand the importance of vegetables. Vegetables help to reduce the risk of diabetes by producing the necessary micronutrients required for the regulation of the blood sugar. They also help to reduce the glycemic load of the meals. The fiber contained in them slow down the absorption of sugar in our body. Hence, consuming more vegetables makes us less prone to diabetes by reducing the energy density of your diet. The micronutrients present in the vegetables are the best foods to prevent cardiovascular diseases. The vegetables rich in potassium, calcium, and magnesium help to regulate the blood pressure. The antioxidants present in them reduce the oxidative stress and maintains the healthy body fat levels. The fiber content in the vegetables helps in curing the digestive problems. Vegetables containing calcium, magnesium, phosphorous, chromium, and vitamin K promote the bone health in people. The various studies show that the vegetables are far more effective than the dairy products in preventing the bone problems. The fiber present in the vegetables also helps to prevent colorectal cancer. The chlorophyll found in the plants alleviate the carcinogenic properties of heme iron found in the red meat. The presence of various nutrients and the low-caloric value in the vegetables alleviates the problems of obesity. The vitamin A present in them keeps our skin and eyes healthy. The vitamin C in the vegetables helps to keep the gums and teeth healthy. The vegetables give protection against the infections and also help in healing wounds faster. The antioxidants in the vegetable prevent cell damage and also cures diseases like Parkinson’s disease, Alzheimer’s disease, and atherosclerosis. The potassium content in the vegetables prevents bone loss and kidney stone. The nutrient called folate present in the vegetables are essential for pregnant women. The folate reduces the risk of neural tube defects in the fetus. The carotenoids present in the vegetables like carrots, sweet potato, beetroot, etc., and dark green vegetables like spinach, broccoli, etc., improve our overall immune system. Foods containing diallyl sulfide, such as garlic, shallots, leeks, onions, etc., give protection against stomach ulcer. The vitamin B present in the vegetables like sweet potato, carrot, broccoli, green pepper, etc., improves our immune system and also the nervous functions. Vitamin K present in the vegetables like cauliflower, broccoli, cabbage, kale, turnip greens and other dark green leafy vegetables improves our metabolism and is also involved in blood clotting. The copper content in the leafy vegetables promotes the formation of red blood cells. Vegetables are, in short, the powerhouse of various nutrients, vitamins, and minerals. They not only help in improving our metabolism but also reduces the risk posed by the various high-caloric value food products. A lot of people in the current world are trying to reduce their excess body weight and remain healthy. The vegetables are the boon to those types of dieters. The different types of vegetables focus on the different organs in your body. Thus, consuming vegetables in our daily life maintains the development and functioning of each and every organ in our body. They also fight against the fatal diseases like cancer, which is very common nowadays. Whether you consume other types of food products or not, it is essential to include the nutritious vegetables in your diet. 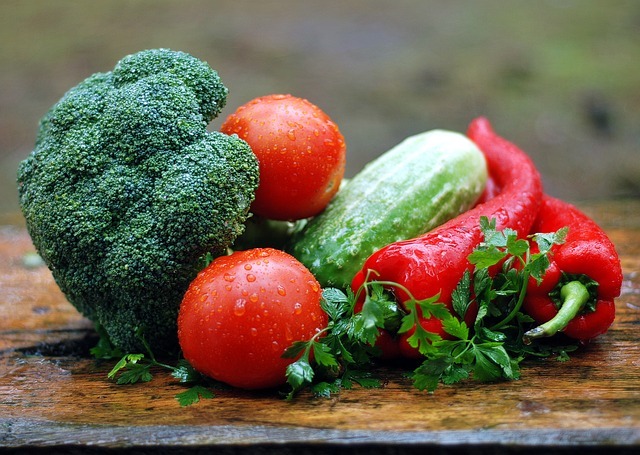 The majority of our health problems can easily be tackled with the help of vegetables. Hence, vegetables play a very crucial role in our overall health and are indispensable. We have to remember that a healthy population is the keystone of a healthy economy.